We have an exciting announcement! There is a new Healing Through Christ phone-in meeting that will start on Thursday, November 8 at 10 am. 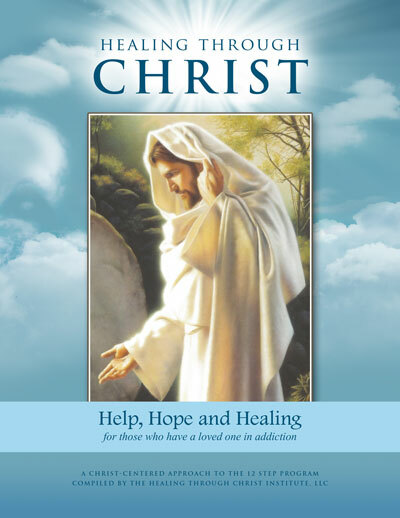 As with all other meetings the week of November 4, the reading material for this meeting will be the Introduction, on page 1, in the Healing Through Christ Family Support Workbook. We are pleased to have a daytime meeting later in the week. As we start over again with the Introduction this week and Step One next, it is a wonderful time to begin a journey through the Twelve Steps. Feel free to invite friends to join you (any time is a great time, though, right?). We have seen growth in several of our meetings, and we are grateful to be able to help more people find hope and healing through the Atonement of Jesus Christ. We have completed the transition to a new phone system, and you can find meeting information, including phone numbers, at the phone-in meetings page on this website. We are also pleased to announce that we currently have a pilot meeting for the Healing Through Christ Recovery program, a powerful program focused on recovery from sexual addictions. It is currently a phone-in group that gathers on Tuesday nights. This meeting is for women only, but we have information on how to join a men’s meeting based in Utah. The reading material for this meeting is currently sent out weekly, so if you would like to join contact us at thearborkalamazoo@gmail.com, and we can arrange for you to be added to the email list, as well as give you more information for how to join the meeting. We hope to add a men’s meeting in Michigan soon. Finally, we have relocated some of our groups. While most of our meetings are phone-in only, a few face-to-face groups are gathering in homes, and our Wednesday night men and women’s meeting in the Kalamazoo area now meets at St. Catherine of Siena Catholic Church at 1150 West Centre Ave in Portage, MI. We are grateful for their enthusiastic and gracious welcome, and hope you can join us in our new location.